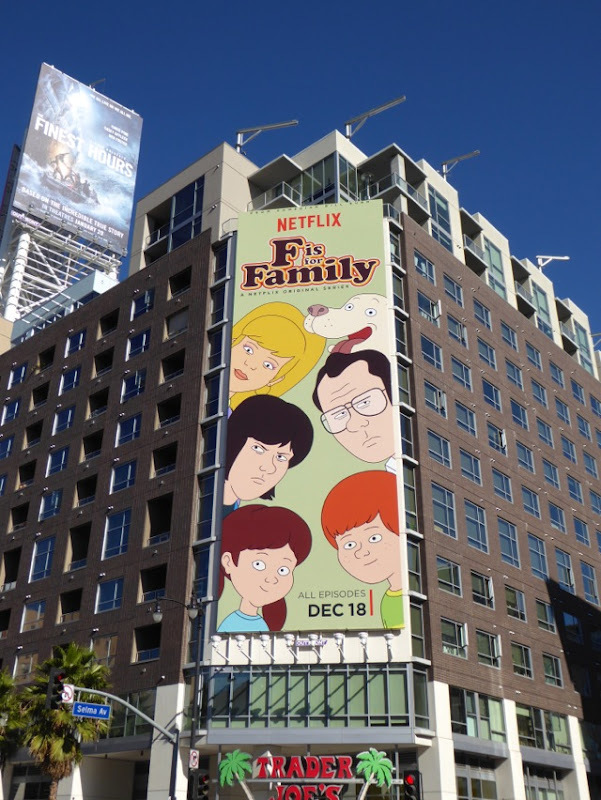 There'll never be a better time to launch a new adult animated sitcom about family than over the Holidays, when many people are thrown together for the festive season with their parents, siblings, children and in-laws and everyone is expected to get along. 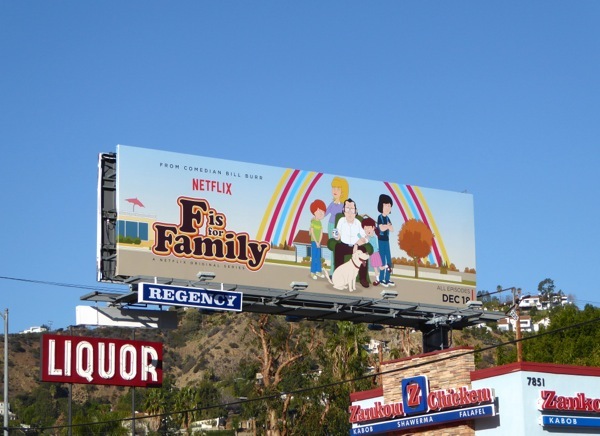 F is for Family is the new grownup cartoon comedy from Netflix set in 1970s America and based on the childhood of comedian Bill Burr. 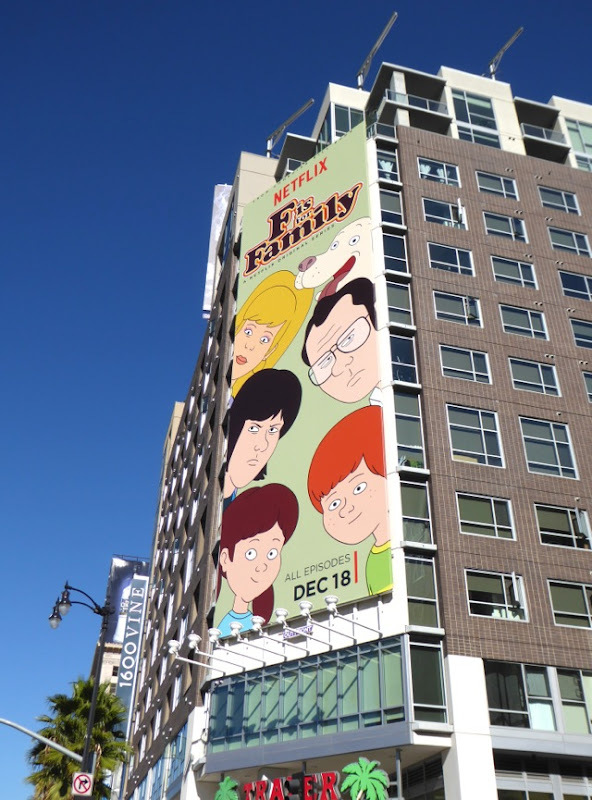 In the six episode first season, Bill Burr voices 'Frank Murphy', the head of the dysfunctional family, whilst Laura Dern voices the tupperware-selling mom, 'Sue', and Justin Long plays their disappointment off a son, 'Kevin', back in a time when things were far less politically correct. 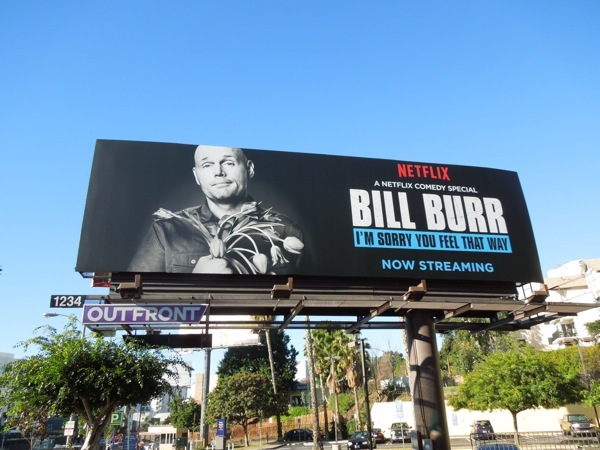 As a bonus here's also the billboard for Bill Burr's Netflix comedy standup special, 'I'm sorry you feel that way', snapped along West Hollywood's Sunset Strip last December 23, 2014. 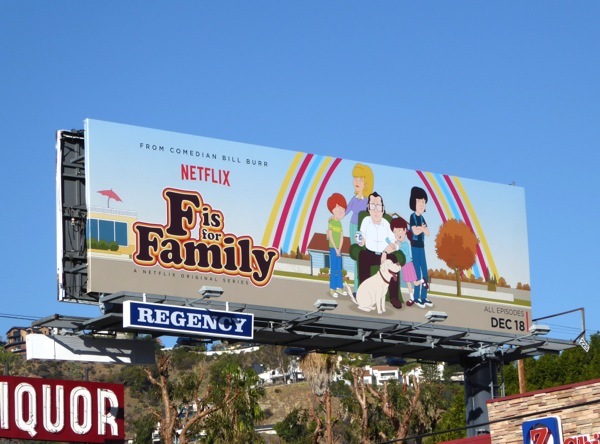 These F for Family series launch billboards were spotted along Sunset Boulevard on December 16 and along Vine Street in Hollywood on December 18, 2015. 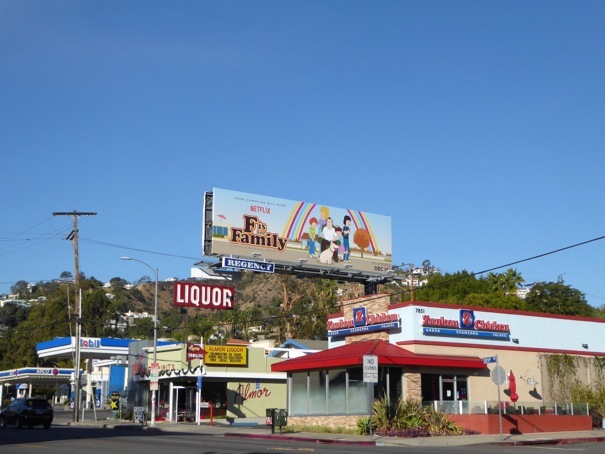 For more family sitcoms, be sure to also check out these billboards for The Goldbergs (set in the 80s), these Life in Pieces billboards and these Black-ish billboards. 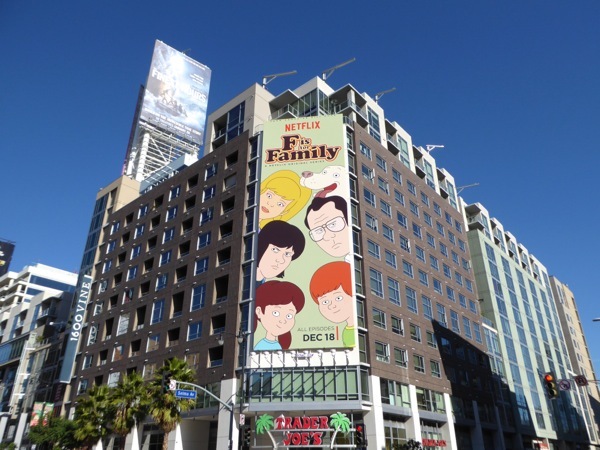 Wishing you all a fun festive season with your loving family (no matter how much they may annoy you).